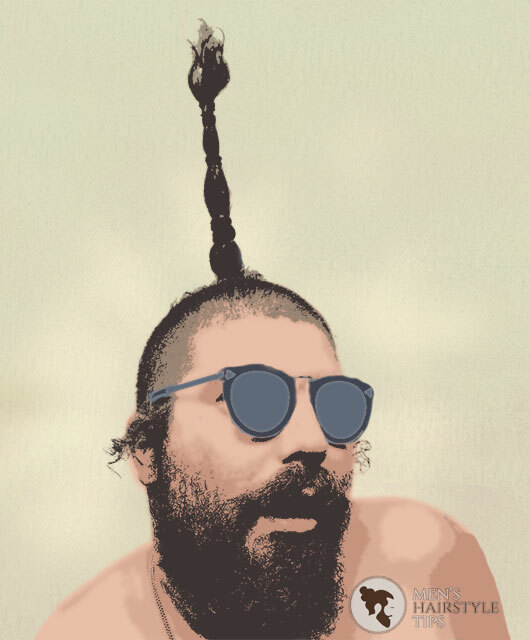 Modern hairstyles for men have become more creative and fashion-forward. 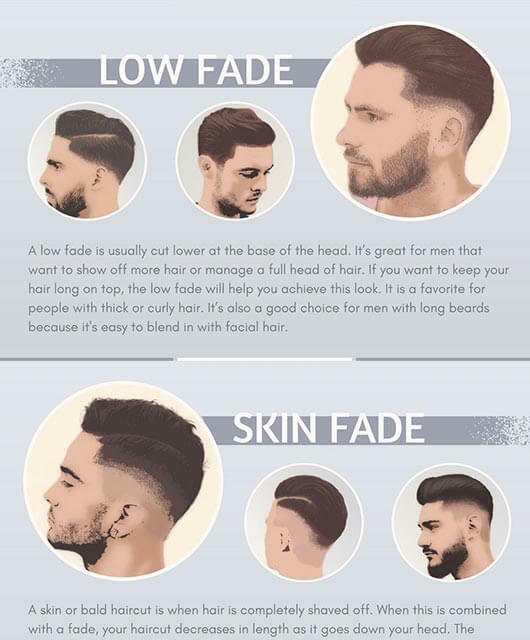 These days, men’s hairstyles are not limited to a particular trends, styles or length of hair. In fact, there is now a mix of classic, and ivy league styles mixed retro haircuts for the best looks. Check out these hot modern hairstyles that will enhance your features and fashion sense. 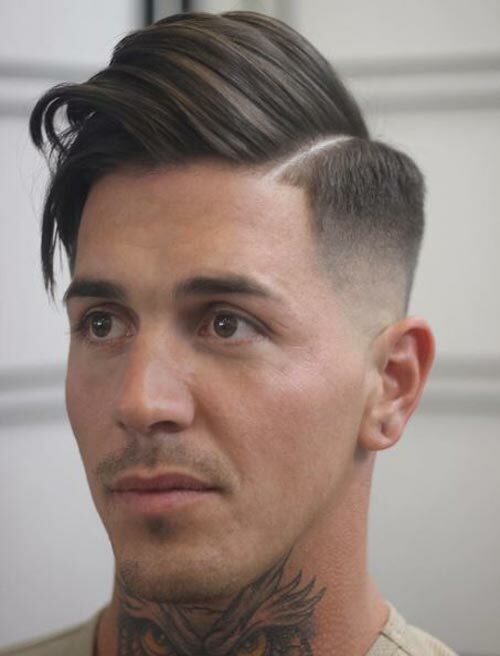 The trendiest men’s hairstyles are all about tapers and length. This edgy style is a Faux Hawk with High Fade. Great for hair that isn’t longer than a few inches. When styling, use a styling gel to pull the hair up and air dry for the perfect hold. Pompadour never really goes out of fashion and makes a come back every season. 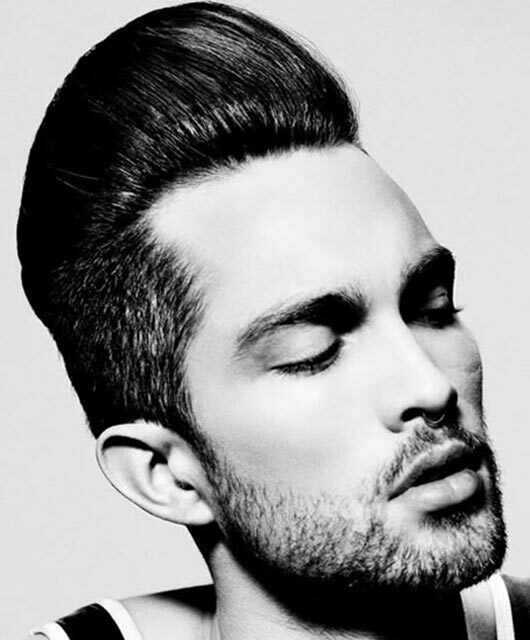 This variation is a mid-length pompadour that will enhance your volumes. This retro look requires a firm hold hair product and will give you a mix of old school and a modern super cool look. 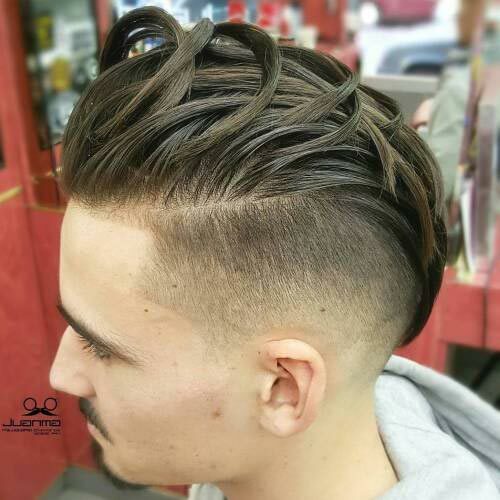 This hairstyle looks best if you have natural waves in your hair. 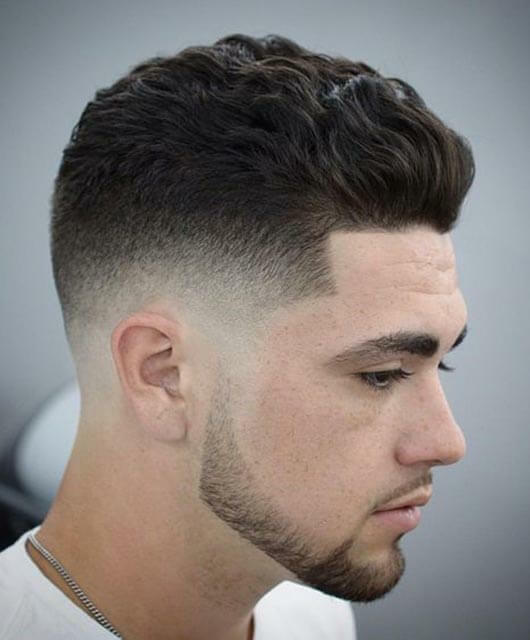 The length is between short and medium, and the sides taper off nicely. With some styling mousse, you can get the perfect hold, add in some texturizer and your hair will be just as perfect as it is in this picture. 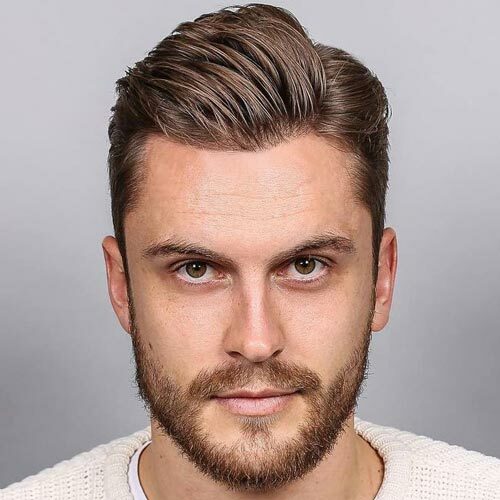 This is one of the simplest modern hairstyles for men and requires thick, medium length hair. 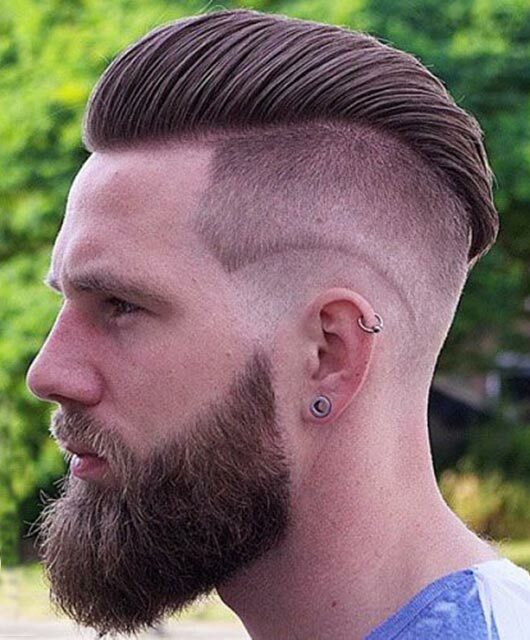 The hair on top is longer while the back and sides have a high fade. A firm hold gel is required to keep this hair intact. One styling trick is to use the gel in creating sections and air dry for perfection. 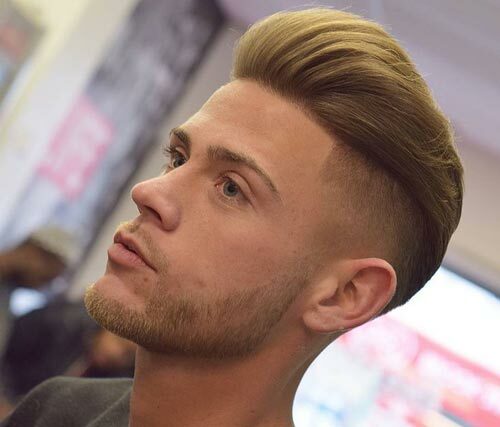 This modern look features a quiff that is side swept to give you a casual look. If your hair is straight, then it will be easy to pull this look. 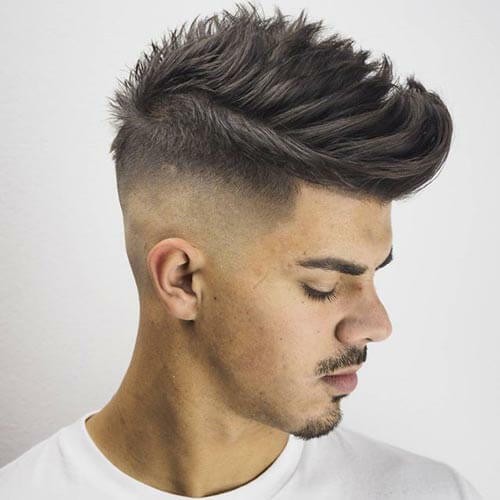 The side part and faded cut will pull focus to your masculine features.